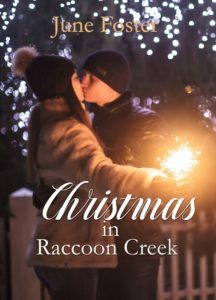 Leave a comment at the end of the post about your favorite Christmas tradition, and I’ll put your name in the hat to win a copy of Christmas at Raccoon Creek this week. Times have changed. But I still remember one Christmas tradition our family enjoyed. We gathered in the dining room for a luscious meal then adjourned into the living room where our Christmas tree, bare except for lights, stood ready for our homemade ornaments patterned after the Jesse Tree. First we read the story of the Jesse Tree which tells, through the use of symbols, the Biblical story from creation to the birth of Christ. We learned that in Medieval times, when the tradition of the Jesse Tree first began, people created large carvings, tapestries or even stained glass windows to place in churches for members of the congregation who were illiterate. Nowadays, the cutout symbols represent Bible stories we know so well. For example, the earth represents the Creation, a picture of an apple is the Garden of Eden, and a rainbow is symbolic of Noah and the flood—and many more. So, now it was time to get creative. Each family member chose a couple of symbols for ornaments they wished to construct from the variety of materials I had accumulated and set out on the dining room table. When the ornaments were completed, we hung them on the tree. The next week we gathered again and told the Christmas story. In the correct order, each person removed their ornament, relayed the Bible story and replaced the cutout on the tree. Afterward we prayed and asked the Lord to help us keep Christmas in our hearts every day of the year. But alas, those were the wonderful days when our children were home to celebrate. In the last years, we’ve traveled in our RV and our tree morphed from a six foot pine to a two foot plastic tree small enough to fit in our coach. But we still remembered the real reason for the season as we celebrated with our Florida friends in a room full of white haired Christians instead of boisterous children. Today we live in a new home in Cullman, Alabama and don’t plan on putting up a tree. What? How can I say that? No, we’re not saying bah humbug. We’re going to share our children’s tree in Texas and enjoy our family’s company once again. What a d lightbulb memory!! I didn’t learn about the Jesse Trees until Ann Voskamp’s book and ornaments were being released and I worked At DaySpring, but my kids were long gone by then. I was able to get them for my grandchildren to enjoy and I know a few of my kids use them, but I’m not sure how. One of my favorite Christmas memories with my kids had to do with the years we got to participate outside of our home, with a neighboring community that did a “Happy Birthday Jesus” meal. We had no family to celebrate with (we were estranged from my father and his abusive wife) and wanted to instill the truth that Christmas was about giving more than receiving. The county to our north had an ecumenical group that provided meals for the group that normally received Meals on Wheels to the elderly and shut in. Some had family to go to, but many did not. Our group brought in food to a large church kitchen, and we packaged it into “to-go” containers that were then delivered to those on the list. Adults and kids went together with warm meals and a smile to visit so many that had so much less than we did, and it helped keep our perspective of the poor and elderly right around us. After the meals were delivered we shared anything that was left with the other volunteers and always had a great time of visiting with old and new friends. We were home by early afternoon and were still able to celebrate Christmas with a simpler meal at our home,together. Those were lonely, lean years, but we loved getting out together in the community and sharing Jesus’ love with our hands and feet. Marina, thank you for sharing this wonderful memory. I’ve found through the years that it truly is more blessed to give then receive. The greatest gift we can have is the ability to give to someone else. Merry Christmas. I love Christmas traditions! Every Christmas Eve after our church service, I make cinnamon rolls from frozen dough balls. They sit overnight & rise & Christmas morning I just pop them in the oven & while they are baking we open presents, then we have hot chocolate & cinnamon buns for breakfast! We visit family the rest of the day, God Bless & Merry Christmas everyone! Sounds so yummy. It reminds me of my childhood when we had breakfast rolls and grapefruit on Christmas morning. Than you for your comment and merry Christmas. 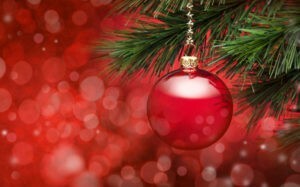 What a special time to prepare for Christmas day, to remind you of our Lord’s birth. I remember going to Midnight Mass with my Grandmother and Great Uncle. It was a very special time and now more than ever, as they are not here anymore, I treasure these memories and miss them. Rose, that’s such a precious memory. Thanks for sharing. I LOVE Christmas stories!! 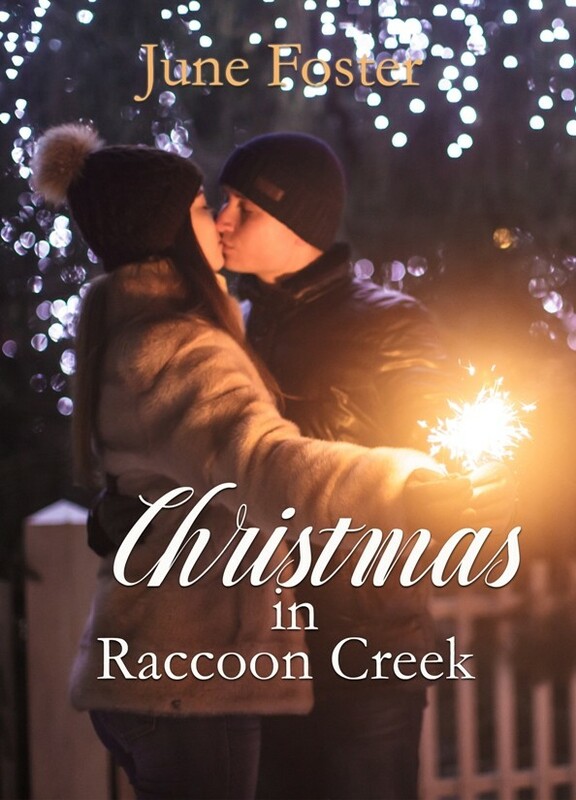 Thank you for the chance to win a copy of your book, Christmas in Raccoon Creek! Alison, thank you so much for sharing this tradition. The Advent calendar is such a wonderful took that helps us count down to Christmas but also learn more of the season. Merry Christmas. One of my favorite holiday traditions is gathering with family and enjoying fellowship and meals. Merry Christmas! So true, Melissa. Family is so important. I realize that more with the each passing year.